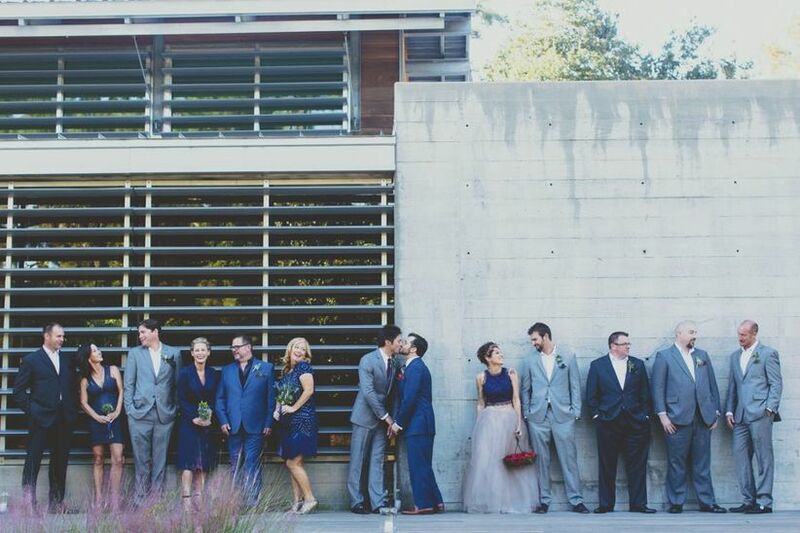 Getting all of your main guys together to celebrate your wedding day can be as stressful as it is awesome. Follow these tips to keep your groomcrew happy! Wrangling all of your best friends, brothers, cousins and future brothers-in-law — some of whom may have never even met before — for your bachelor party, attire fittings and, ultimately, your wedding day is no small feat for grooms. 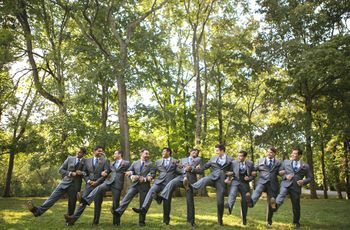 Managing your groomsmen and best man means being up front about the groomsmen duties they’re taking on and avoiding any groomsmen etiquette snafus on your part. Start planning early (like, now) and get organized to stay in the good graces of your favorite dudes long after you exchange vows. Read this list to learn how to manage your wedding party so everyone, yes, that includes you, is happy and ready to party! This starts the moment you sit down to think about the men (and, possibly, women) who will become a groomsman or groomslady in your wedding. 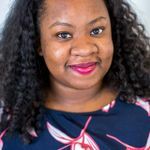 You may want to think twice about extending the invitation to any of your friends who are going through big life events of their own, like college graduation, starting a family or grieving the loss of a parent. You also want to check in with your future spouse or bride about anyone they might want to be a part of the wedding, but who may be better suited to join your wedding party and not theirs. This might be a future brother-in-law or a male best friend. When it comes to groomsmen etiquette, remember that it’s a big favor to ask of someone, even your closest friends, as there are lots of inherent costs associated, so be open to someone not being available to be in your wedding party. Let’s be honest — you have some expectations for how your pre-wedding events will go. It’s best to be open and forthcoming with your best man and your wedding party about your bachelor party and any other events you’re hoping to experience. (Sending this checklist of how to handle groomsman duty to your crew might be helpful as well.) You’ll also want to be organized and prepared to share a timeline of when certain things need to be ordered and when the wedding party is expected to be present at different events, like an engagement party, a wedding shower, bachelor parties and the wedding itself. Be sure the groomsmen can communicate with each other and with any relevant vendors, like the wedding planner, and any family members, friends and wedding guests who might not officially be a part of the wedding party, but need to be invited to events or have offered to help plan things. This is especially important if your best man and groomsmen aren’t all in the same city. 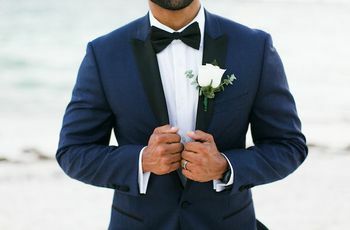 Once you’ve figured out the style of menswear you’d like your wedding party to wear on your Big Day, start to either schedule a time for your crew to get together for a fitting or direct them to menswear shops in their area where they can get their measurements. Have an idea of what their outfit (include any accessories like cufflinks, ties, etc.) will cost and make sure they know when things need to be ordered. While pops and grand-pops may not be down for a no-holds-barred weekend in Vegas for your Bach, there are some activities that they may want to be a part of, outside of standard groomsmen duties. Check in with your father, grandfather and future in-laws on scheduling a family-only attire fitting. Communicate with this group just as early and diligently as you’ll be communicating with your wedding party, so they’ll have plenty of time to be prepared for the upcoming ceremony. Consider planning an outing for the older men in your family and your in-laws — this might include uncles and godfathers — so they’ll have a no-pressure way to meet and socialize before the wedding. It’s hard when there’s so much inspiration in the form of bro flicks like The Hangover, but be realistic about your bachelor party and consider not only your best man but your pack of friends. If you all are more outdoorsy types, a night of high rolling at a casino may not be the way to go. If many of your friends are planning weddings themselves, are newlyweds or becoming fathers, a super-expensive trip to Amsterdam may be out of the budget for many in your wedding party. 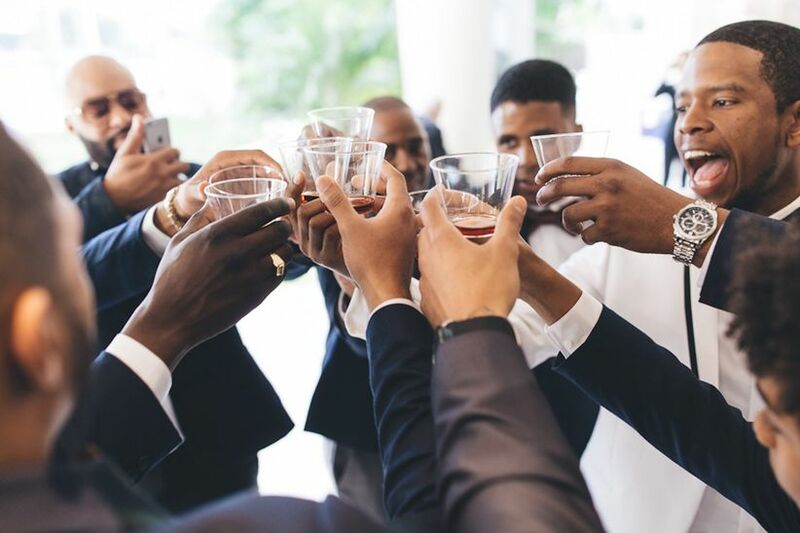 Be open to the ideas your best man has about how to celebrate your wedding, give him guidance if needed and know you’ll have a good time with your crew regardless. It’s customary for the groom to provide a shave and haircut for the guys in his wedding on the day of the wedding. Many barbers offer on-demand services, or take a trip to a local barber shop on the morning of the ceremony. Not only is it a way to ensure your crew looks sharp, the bonding experience offers great snaps for the wedding album. 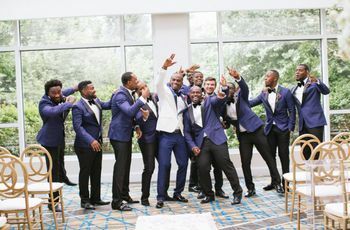 Your best man and groomsmen will shell out a decent amount of money along with travel, missed work and countless text messages of emotional support between the proposal and first dance. 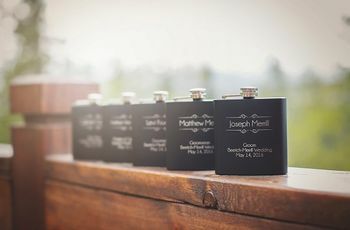 Be sure to think of a fun, but useful gift that matches the personality of your friends and family when picking and giving your groomsmen gifts.